Tourists will find accessing Venice is more complicated unless they reserve ahead using an online booking system. It is part of measures announced by mayor Luigi Brugnaro to tackle a backlash in the popular Italian city against mass tourism. Brugnaro said tourists will be encouraged to book ahead online from 2020. The city will also ask visitors to pay a €3 fee from May 1 this year, which will rise to up to €10 in 2020 depending on the season. But the measures have been criticised by Italy's tourism minister, Gian Marco Centinaio. "It's a useless and damaging measure. Do we want to become a tourist-repelling country?" Centinaio asked on Twitter. Brugnaro defended the new measure as "the only way to count the number of people visiting Venice" and said that "no one will be denied access, but it will it be more complicated for those who don't book". "The goal is to make the city more livable" for residents and to "reduce the extraordinary costs" incurred by the city because of mass tourism such as waste collection and the maintenance of the city's heritage. People who work or study in the city but live outside of it will be exempt from the fee, as will those visiting for medical or administrative purposes. 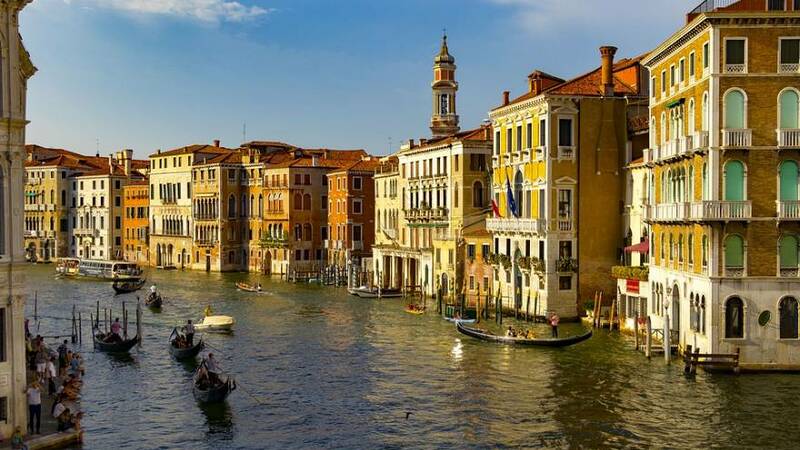 Venice-born non-residents as well as people visiting family residing in the city are also expected to be exempt. Only about 55,000 people live in the famed lagoon-city with some 20 millions tourists visiting every year. The World Travel and Tourism Council estimates that tourism generated €3 billion in revenues in 2016, accounting for nearly 12% of the local economy. But Venice has been at the forefront of a backlash against mass tourism in recent years as residents complain that local shops are being driven out by souvenir shops and that the fragile ecosystem is being ruined. Some of the measures that were previously considered but were eventually rejected included a ban on cruise ships in certain areas as well as a ticketing system for the hyper centre. A #EnjoyRespectVenezia campaign has also been launched, calling on tourists to take greater care when visiting by not littering. But it was criticised for imposing punitive fines for sitting in St Mark's Square or near certain sites as well as simply standing idly about. Tourists have also decried some of the prices in cafés and restaurants with one tourist charged €43 in August for two espresso and two bottles of water.